Organisers of the UK’s Ramblin’ Man Fair have revealed eight more artists who’ll play at next year’s festival. 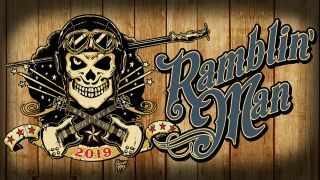 Ramblin’ Man will take place at Mote Park in Maidstone, Kent, between July 19-21, with Foreigner, Anathema, Beth Hart, The Darkness, Chris Robinson Brotherhood, Pain Of Salvation and Riverside all previously confirmed. It's also been revealed that special guests on the Main Stage on the Friday will be The Wildhearts, while The Winery Dogs mainman Richie Kotzen will join Beth Hart on the Blues stage. For more on Ramblin' Man Fair 2019, including ticket details, visit the official website.